In February, HRSA posted a manufacturer refund notice for 340B covered entities to its website regarding Amgen USA, Inc. (Amgen) and 340B pricing for multiple products using NDC labeler codes 55513 and 58406. This includes Aranesp, Sensipar, Epogen, Neulasta, Neupogen, NPlate, Prolia, Vectibix and Enbrel. 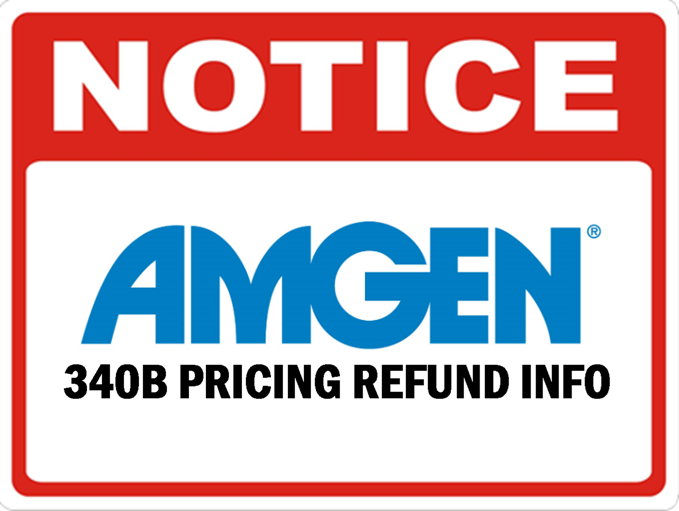 According to the notice, Amgen has made an adjustment to the 340B ceiling prices for the aforementioned National Drug Codes (NDCs) and as a result, a 340B covered entity may be eligible for a credit. Please see the manufacturer notice HERE for eligible NDCs and drug purchase timeframes as they include multiple products and timeframes ranging from Q4 2006 to Q1 2015.